and second would be Taqwiyatul Iman. 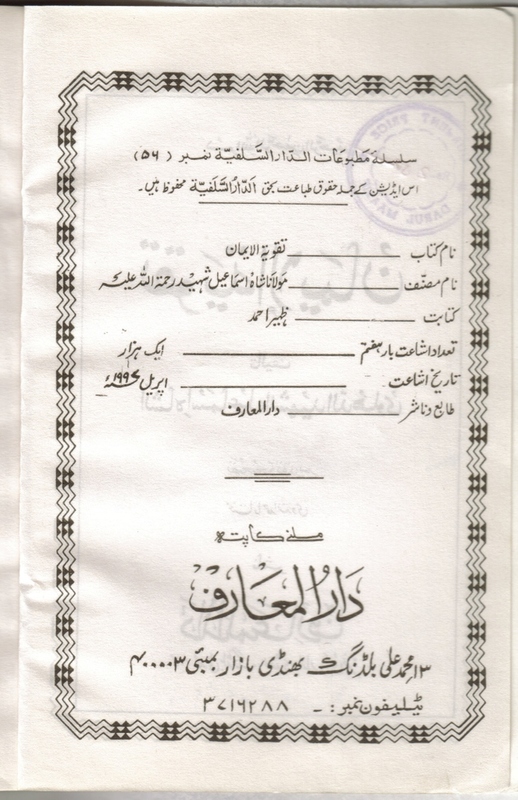 Those who want to know in detail , can read ' Taqwiyatul Iman mein Tahreef Kyun ( urdu) , By Mawlana Abdul Raza Qadri. Mawlana has listed 38 fabrications as per his research . 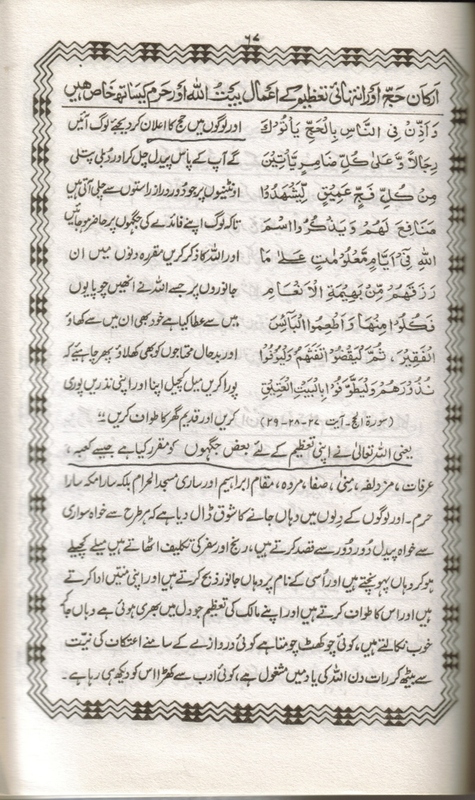 And now alhamdulillah , after examining more editions we have found many more fabrications. 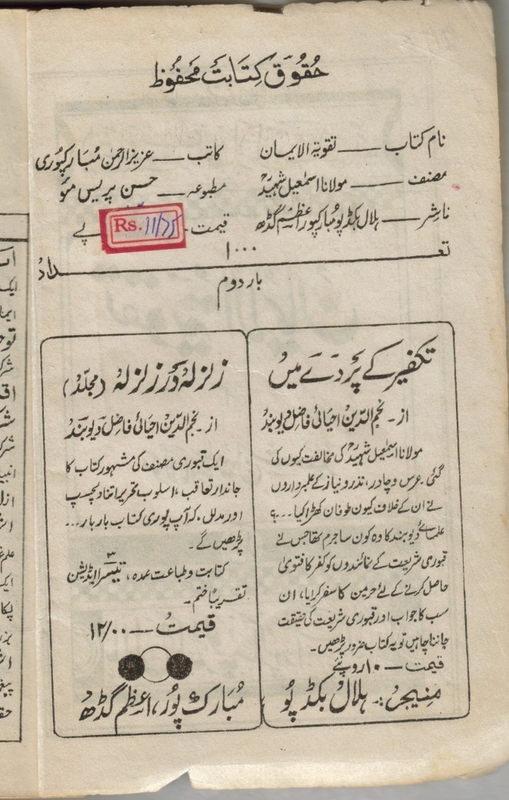 and in this Deoband edition also it was changed. Imagine , 50 years from now , when sunni muslims will say that taqwiyatul Iman has quotes like Allah Sahab and Deobandi will say , No , it is not. Show me. So both of them will go to the market and buy this fabricated version and sunni guy will be proved a lier. That is why I keep old edition books. Deobandis must be very happy after doing this fabrication. But they forgot something.! 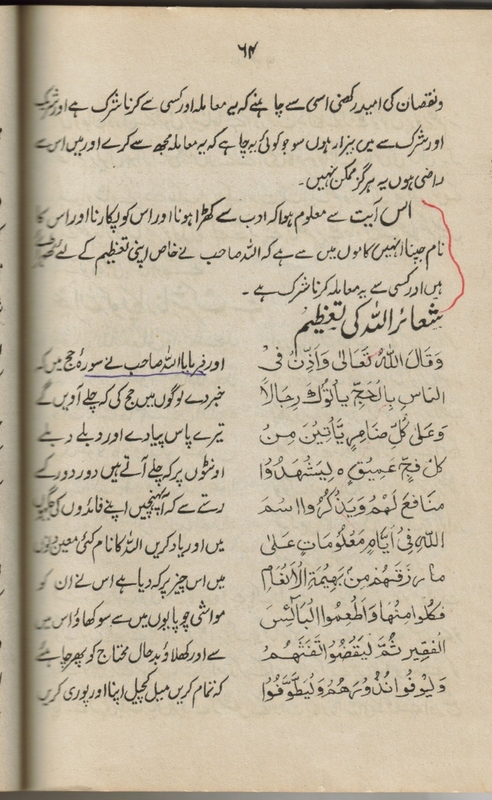 If we open Fatwa Rashidiya, it has many questions with reagrd to this book Taqwiyatul Iman. The questioners have asked " this quote in taqwiyatul Iman in which it says we cannot ask anyone except Alllah sahab..... etc etc"
And Mawlana Rashid Ahmed ganagohi has replied those questions. So these fabricators forgot to make fabrication in the other book , containing the samw quote! Some one has rightly said, if you speak one lie , you have to speak 100 more to hide that first lie!.